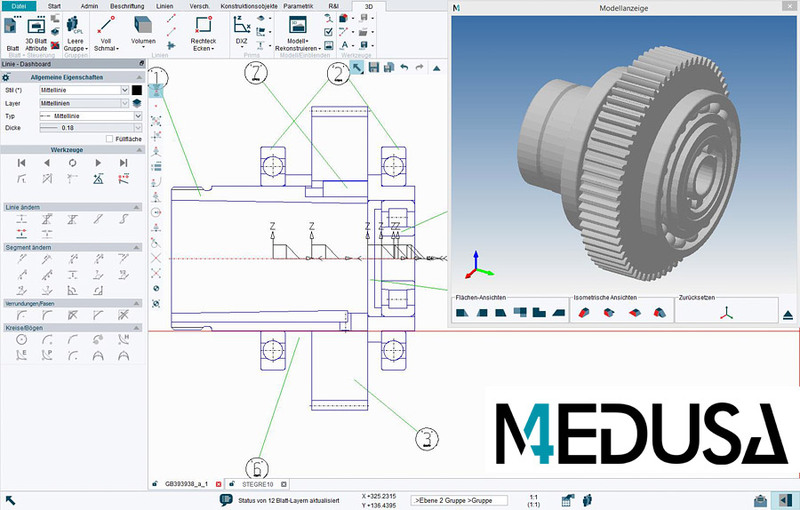 MEDUSA4 is a powerful 2D/3D CAD software program with an extensive range of features and a diverse array of industry-specific modules. 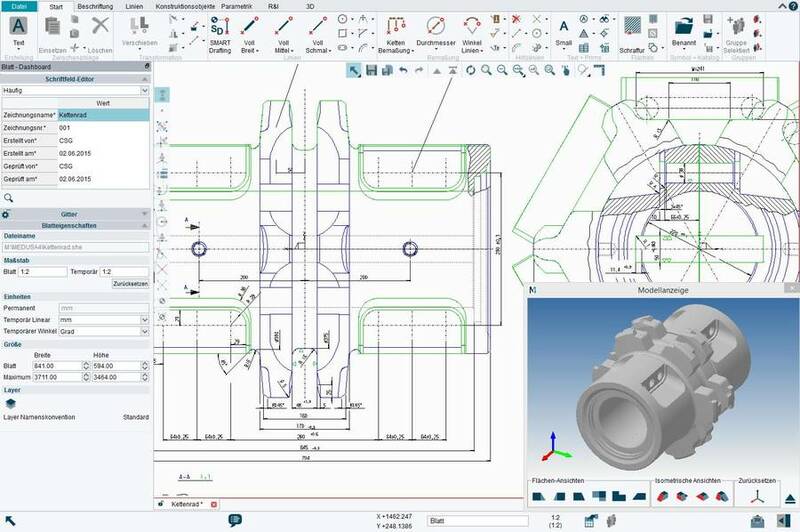 MEDUSA4’s flexible architecture and the diverse-range 2D, 3D, PLM and ERP interfaces allows the CAD- software to be adapted to every specific company requirement, and seamlessly integrated into any system landscape. 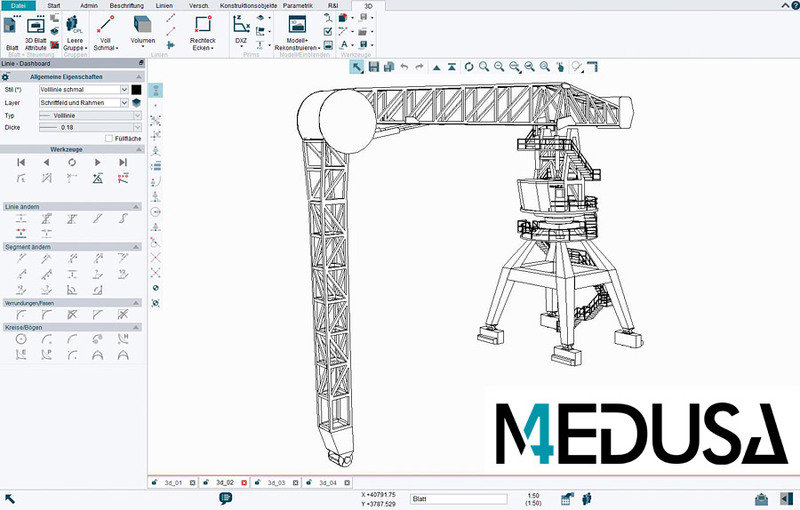 As a result of the automation functions, individual construction steps in MEDUSA4 can be not only automated, but also linked directly into a business process and have them run completely automatically in the background. 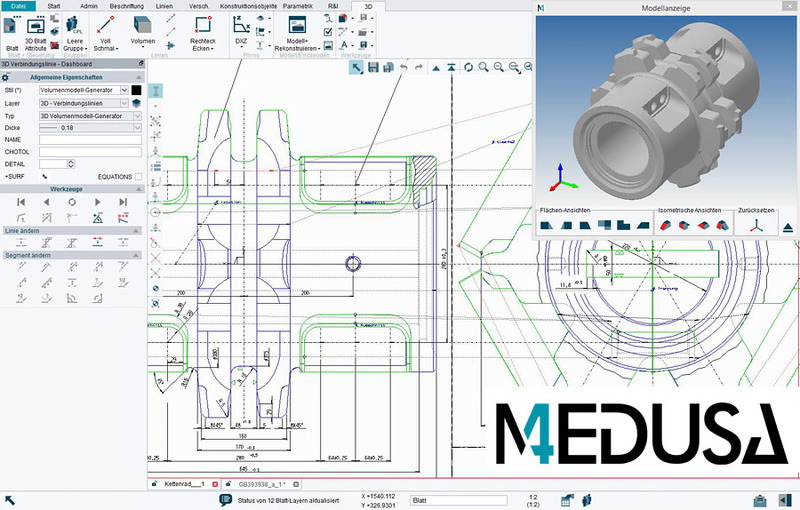 MEDUSA4 includes add-ons for advanced parametrics, 3D assemblies, the incorporation of legacy data and colour images through the use of raster technology, standard CAD parts, sheet metal design, and P&IDs. The extended product family includes the powerful 2D/3D plant design system MPDS4, with an innovative factory layout facility, as well as solutions for document and data management. 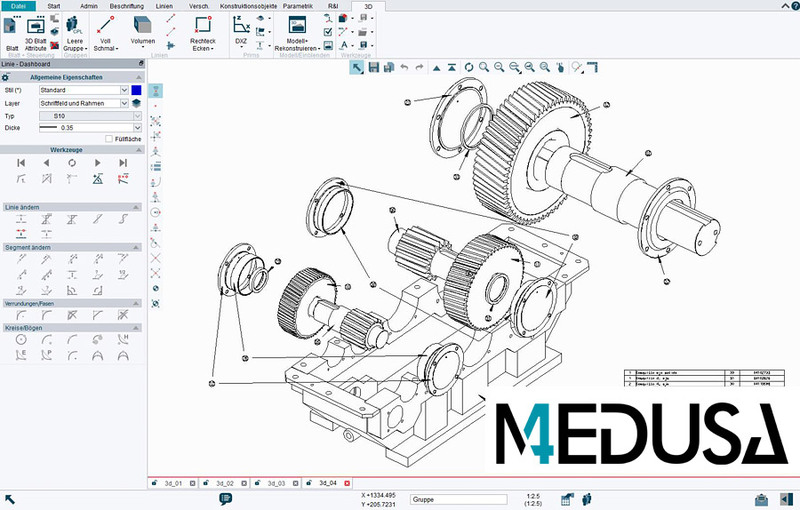 MEDUSA4 data is highly compatible with third party systems, and there are a variety of 2D, 3D, PDM, PLM and programming interfaces available. 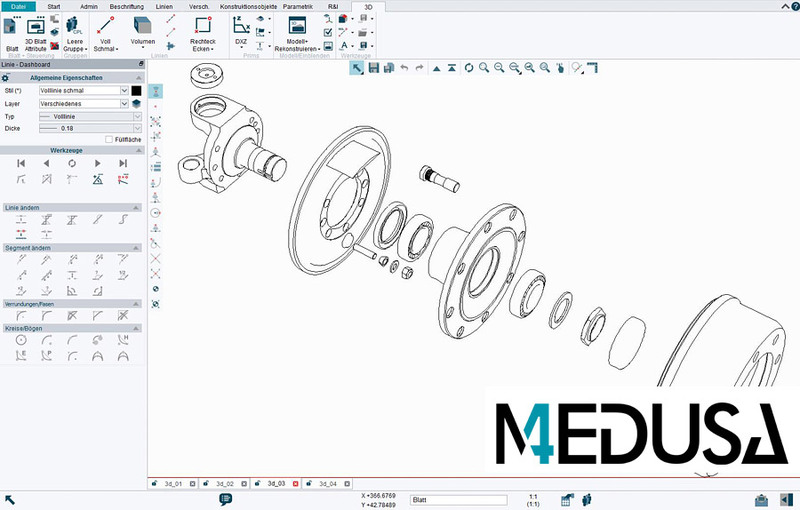 MEDUSA4 has a full 2D CAD function scope with the possibility to form 3D models from 2D-drawings. 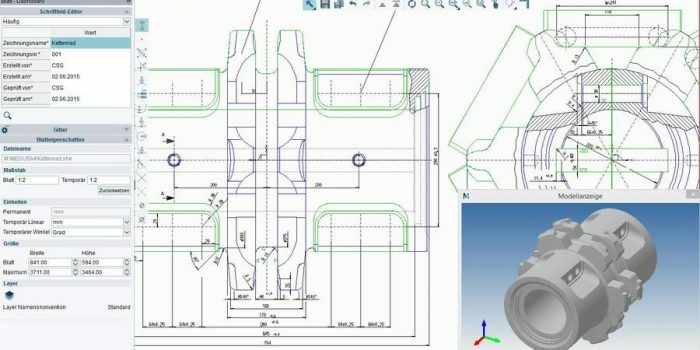 Thanks to the flexibility and customization options of the MEDUSA4 2D/3D CAD software, our customers can use features that are perfectly adapted to their requirements. By combining appropriate modules and features, tailored to the task at hand, they can create individual, customized, and automated solutions. 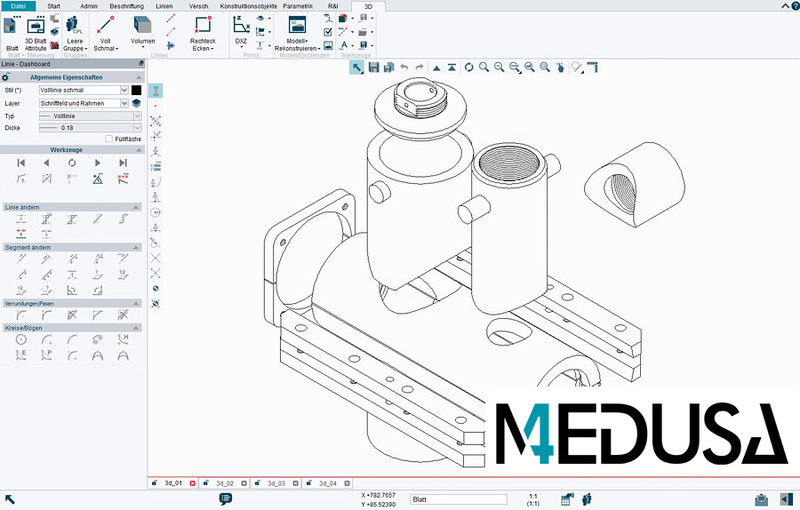 Whether customers need a web configurator to create completely automatic individual construction drawings, or a documentation solution that automatically creates product catalogues and assembly instructions, MEDUSA4 is always the right choice.